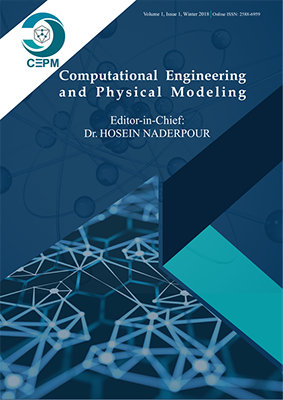 A new numerical formulation, which combines the Cohesive Zone Model (CZM) approach with the Arbitrary Lagrangian-Eulerian (ALE) methodology to investigate the crack onset and evolution of multilayer composite beams is presented. The CZM approach is used to calculate the main variables, which governs the conditions of onset and propagations of delamination, whereas the ALE formulation is employed to simulate the evolution of the crack growth. In spite of numerical methodologies based on pure CZM, the proposed formulation guarantees lower computational efforts since a reduced number of finite elements is required to reproduce delamination mechanisms. Moreover, the proposed model is able to introduce the nonlinearity only in a small region around the crack tip, whereas in the remaining one, linear equations to simulate perfect adhesion are introduced. In order to verify the accuracy and to validate the proposed formulations, comparisons with existing formulations available in literature are proposed. Moreover, a parametric study to evaluate the delamination phenomena in dynamic and the contributions arising from through-thickness reinforcements, such as Z-pin elements, is performed.